KONA 3G offers users a single, powerful card with support for 4:2:2 and 4:4:4 color spaces to provide the highest quality for your images. 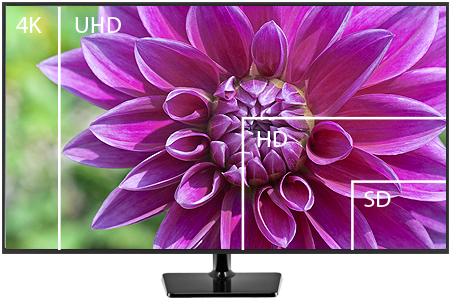 The futureproof architecture means you can easily work with HD and 2K now and switch to working at 4K resolution when the need arises without the requirement for new hardware. KONA 3G is a video and audio desktop I/O card that provides professionals with unparalleled features for handling everything from SD to HD, 2K and 4K - all with full 10-bit uncompressed clarity. KONA 3G supports Dual Link 4:4:4 HD-SDI, with full-bandwidth 4:4:4 RGB at 10-bits for 1080i, 1080p, 1080PsF and 720p formats. KONA 3G can also convert between 4:4:4 and 4:2:2 formats for single link HD-SDI monitoring and output. With a broadcast-quality up/down/cross-converter and the ability to work in 3D, KONA 3G has the power for the work you do today and into the future. KONA 3G is futureproof, allowing you to easily work in HD and 2K and switch to working at 4K resolution all on the same hardware. Leading the way for quality 4K capture, monitoring and output, KONA 3G offers 4K in both YCbCr and RGB. When 4K mode is selected, the four SDI connectors are remapped as I/O for handling the four quadrants of a 4K picture. 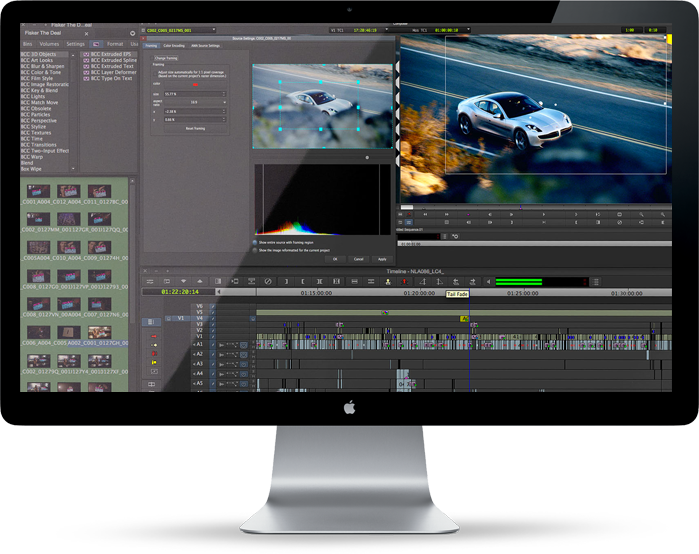 A large number of 4K formats are supported for this emerging workflow. 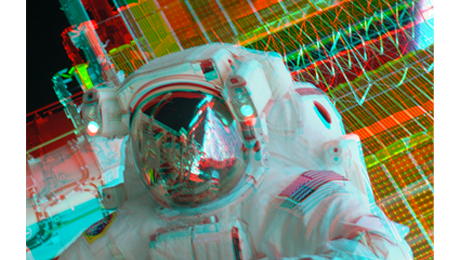 KONA 3G enables simple and affordable 3D workflows using the standard hardware, with no additional equipment required. Through SDI, you can output discrete left and right eye feeds with a simple Stereo button choice in the AJA Control Panel. In addition, all the muxed feeds for SDI stereo monitoring are accessible through tight integration with 3rd-party application timelines for stereo monitoring. Through HDMI 1.4a, you can utilize more affordable 3D monitors for side-by-side and Top Bottom needs. 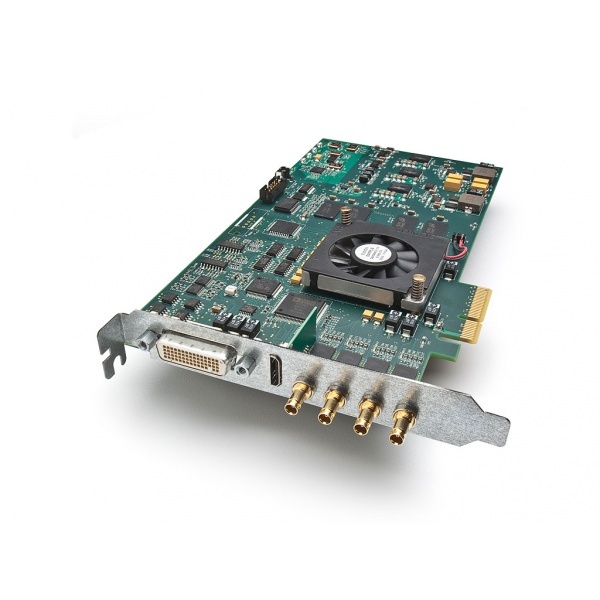 For SDI video, the card features two 3G/HD/SD-SDI inputs and two outputs - or for 4K all four SDI connectors can be used for capture and output - HDMI 1.4a monitoring output, LTC input and output, one connection for Genlock input, and configurable 3x BNC HD/SD analog video output. For audio, tie the KONA 3G to a digital audio mixer or DAW output with 8-channel 24-bit 48kHz or 96kHz AES audio via BNC connections on the supplied breakout cable - or get the optional K3G-Box to output an even larger 16-channels of AES audio. KONA 3G's high-quality input sample-rate conversion on AES inputs eliminates the need for audio source synchronization. For multi-channel audio mastering, 16-channel SDI embedded 24-bit 48kHz audio provides the power you need to integrate into any audio environment. KONA 3G features full 10-bit, broadcast-quality, motion adaptive SD to HD up-conversion, HD to HD cross-conversion, HD to SD down-conversion, and automatic HD/SD 12-bit component analog output. Since all conversion functionality is hardware-based, it's available on ingest or playback. Uniquely, KONA 3G can cross-convert 720p 23.98 to 1080PsF 23.98. Cross-conversion is particularly valuable in today's multi-format HD post environment where producing pristine 720p or 1080i signals at-will helps streamline dailies and deliverables. 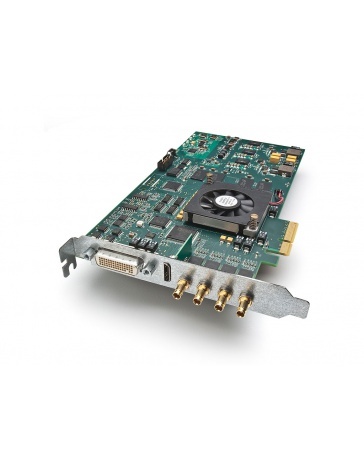 KONA 3G features a powerful hardware downstream keyer that can place graphic files with an alpha channel over the video being input to the board-or a selectable color matte - or the contents of the card's framebuffer. The downstream keyer can also key a QuickTime video clip that has an alpha channel by playing it in realtime, via the supplied AJA TV application, over live video coming into the card. The optional K3G-Box breakout box and cables allow KONA 3G to integrate easily into rack environments, enabling quick access to all video and audio connections without having to get at the back of the tower computer. Additional K3G-Box functionality over the standard breakout cable comes in the form of eight additional AES audio channels, 2-channel RCA analog audio monitoring jacks, and looping BNC Genlock reference connectors.